The department "Radio communications and Video technologies" is part of the Faculty of Telecommunications at the Technical University - Sofia. It is the successor of the one of the first Low Voltage Departments in Bulgaria with a rich history, prestige and deep tradition both in educating students and in research in the domain of Telecommunications. 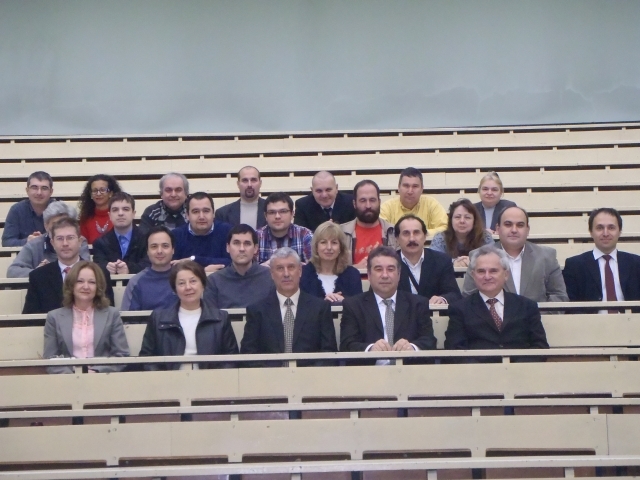 Furthermore, the department conducts training of students from other disciplines and faculties of the Technical University - Sofia such as the Faculty of Electronic Engineering and Technologies, Faculty of Computer Systems and Control, Faculty of Transport, Faculty of Management, Faculty of Electrical Engineering, French Language Faculty of Electrical Engineering, English Language Faculty of Engineering. The department’s academic staff is highly qualified with a solid theoretical, practical and extensive teaching experience. It includes 5 professors, 10 associate professors, 13 assistants and maintenance personnel of 1 engineer and a technical assistant. Thanks to the fruitful cooperation annually many students and teachers are sent for exchange programs and training in many European universities and leading telecommunication companies in the country. The members of the department maintain longstanding relationships with many foreign universities - Technical University of Munich, Hamburg, Vienna, Moscow, St. Petersburg, Academy of Sciences of Ukraine, University of Quebec in Ottawa, University of Arkansas, Atlanta and Chalmers and others. The department is part of the Erasmus program, and actively exchanges students with the Athens Polytechnic, Technical University of Ilmenau, Darmstadt, Wroclaw, Madrid, Lisbon, Nice, Copenhagen, Bialystok and others. The department has a long and fruitful cooperation with companies in the telecommunication sector like Siemens, GloBul, Ericsson, M-Tel, Vivacom, Blizoo, RaySat, Nokia, Neterra, etc.